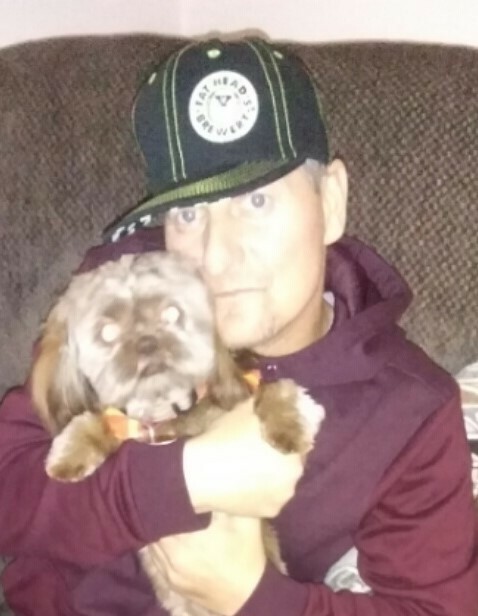 Obituary for Justin Arthur Quinto | James C. Stump Funeral Home Inc.
Justin Arthur Quinto, 41, of Perryopolis, passed away Sunday, November 18, 2018 in UPMC Shadyside Hospital after a courageous battle with cancer. Born in North Charleroi on September 19, 1977, he was the son of John James and Cindy L. (Artis) Quinto Sr., who survive and reside in Rostraver Twp. Justin was a heavy equipment operator and worked for W. G. Tomko. He enjoyed hunting and fishing and going to camp at Pymatuning Lake. He loved music and sports, especially the Pittsburgh Steelers and the Pittsburgh Penguins. In addition to his parents, he is survived by the love of his life, Stacey Povrzenich; brother, John J. (Tracy) Quinto Jr. of Rostraver; special nephews, Cameron and Dawson Quinto; special aunt, Joann Perez of Donora; numerous aunts, uncles and cousins; and his new best doggie friend, Juggles. Justin was preceded in death by his grandparents, James E. Quinto Sr. and Arthur and Betty Artis; special aunt, Betty Ann Riggle; uncle, Lou Perez; and cousin, Karlie Perez. Friends will be received on Tuesday from 2 to 4 and 6 to 8 p.m. in the James C. Stump Funeral Home Inc., 580 Circle Drive, Rostraver Township (724-929-7934) www.jamesstumpfuneralhome.com Funeral services and interment will be private. The family is having a Celebration of Justin’s Life on Saturday, December 1, 2018 from 2 to 5 p.m. at By George Catering, 1 Monongahela Street, Monessen, PA 15062.